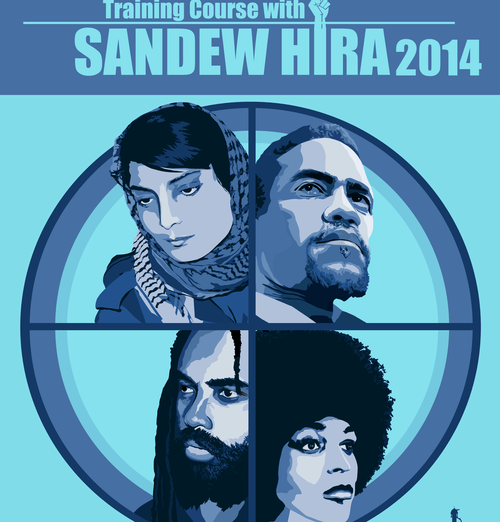 Following on from last year’s highly successful ‘Decolonising the Mind’ training, IHRC are hosting decolonial scholar and activist Sandew Hira on challenging one’s own ideological, political and cultural colonisation. From the Netherlands, Sandew is both an economist and historian. His first book on the struggles of Suriname was published in 1982 and since then he has written much more. He is currently the director of the International Institute for Scientific Research (IISR). The IISR aims to develop a network of organizations with vested interests in mental decolonisation. A ticket costs £23 – if you are an OAP, student or unwaged you are elgible for the discounted rate of £18. Please buy tickets HERE. Download the complete version of the event artwork by Intifada Street artist Mohammad Hamza below.